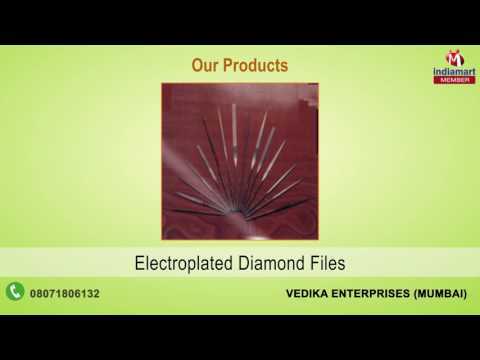 Appreciated among our customers for the purpose of manufacturing, supplying and trading a wide range of premium quality Jewellery Polishing Tools, Vedika Enterprises started its operations in the year 2011. The product range offered by us is inclusive of Diamond CBN Electroplated Grinding Products, Diamond Power Lapping Paste and Spindle Mounted Felt Bobs. By using cutting-edge machinery, our professionals manufacture this jewelry designing tools in accordance with the industry set norms and regulations. Their sturdy construction, seamless finish and longer functional life, make these tools highly demanded in the market.